A private, gorgeous location for rustic Northern Michigan weddings and events. A beautiful location for your special day. In 2016, the Pahl's built a gorgeous covered bridge on their property using reclaimed barn wood. Today, it serves as the perfect destination for weddings, parties, and events. Looking for something a bit more rustic? Pahl's has two cabins a quarter mile back through the property, wonderful for more intimate affairs. 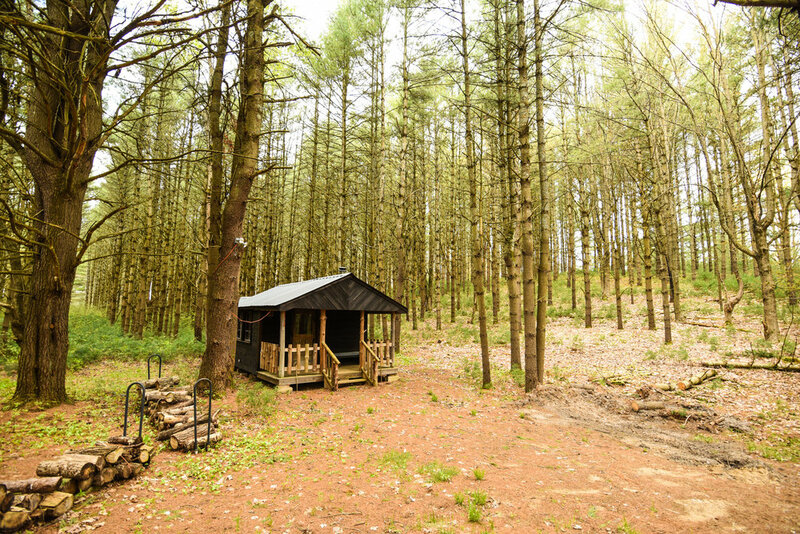 The cabins' dreamy location is easily accessible with a short tractor ride. Sitting on gorgeous farm land, Pahl's provides a scenic backdrop for any occasion. There is ample space for party tents and parking, and the cabins make for the perfect place for bridal parties to apply their final touches. Fill out the form below to book or take a tour of our event spaces.